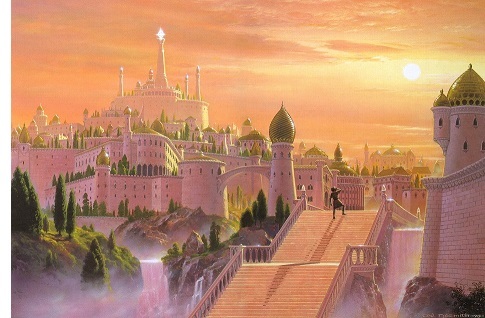 Tirion - When the Noldor arrived in Aman, they tried to live in Valinor, the land of the Valar. But the light of the Two Trees shown brightly and the stars could not be seen. The Noldor longed to look upon the stars as it reminded them of their first home.